Companies that operate in the digital sphere should utilize Twitter’s medium for viral marketing campaigns. Twitter involves rapid person-to-person sharing among users. 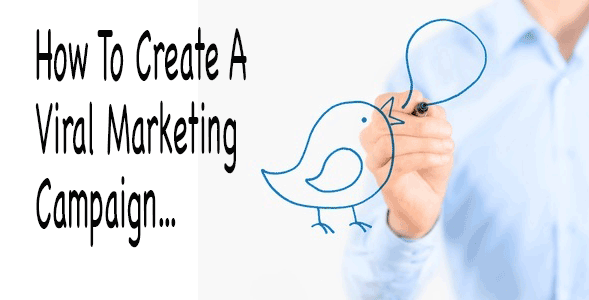 Viral marketing campaigns provide the opportunity to aggressively promote your content in order to increase awareness of your company’s presence on Twitter. Viral campaigns can also drive traffic to your company’s website. Viral Twitter campaigns must grab attention from the audience you wish to reach. This requires knowing your audience and producing quality content that matches their interests. Messages must be crafted in a manner that is clear, concise, simple, and easy-to-read. Sum up your benefit in one 140 characters-or-less tagline. After you capture your audience’s attention, give Twitter users a direct request that easily compels them to interact with your content. In other words, provide a call to action. Make sharing a built-in part of your content. Put shareable items online to promote your website (or other promotional, beneficial content) and send out links to your content on Twitter. The goal is to get your audience to share your content from person to person. Content that is useful and relevant to your audience is more likely to be shared. Most tweets include links and photos. Fortunately, you are in luck. Twitter’s most recent 2016 update means that links and photos are no longer counted towards your character limit. This gives you a bit more room to craft your message with links and photos without eating up your character limit. Hashtags are everything on Twitter. If your tweet incorporates a trending hashtag on Twitter, your tweet is a lot more likely to be seen by Twitter users that do not necessarily follow you yet. This gets your tweet in front of people who are already interested in the topic represented by the hashtag. Twitter is a great way to know what’s going on in the world. Track relevant trending topics in your industry. Find a trending hashtag that aligns with your company brand and craft a piece of content related to the hashtag. It helps to add an eye-catching image. There are many sites where you can craft an image, like Canva, 123rf.com, and Bannersnack. Tweets posted at opportune moments can harness existing hashtag momentum to help your campaign go viral. This benefits you greatly. In spite of all your best efforts, it is sometimes difficult to create a successful viral marketing campaign. Some online content goes viral and some does not. Keep that in mind so that you do not become discouraged. These tips cannot guarantee a viral marketing campaign but success favors those who are properly prepared and that is where these tips come in handy for your future success. In general, marketing content does not go viral by sheer luck. Careful planning, creativity, and execution are key. And, finally, remember that practice makes perfect. Over time, you may just become the next expert on social viral marketing.